Eyebobs and i-gogs, two completely separate Minnesota-based eyewear companies, are expanding their field of vision. 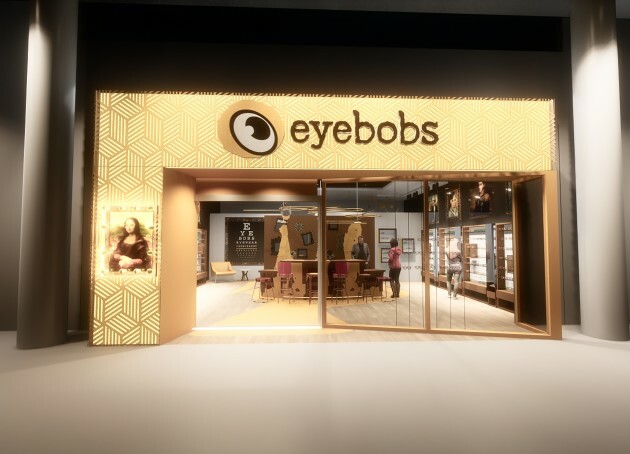 Minneapolis-based Eyebobs, which sells eyeglass frames and readers for the "irreverent and jaded" to more than 2,000 independent stores nationwide, is opening its first retail store after opening a test lab last year at its headquarters. "We thought we could design a better store than the one we designed in-house," said Mike Hollenstein, CEO, referring to the test lab in the headquarters. The new Mall of America store on the first floor by DSW Shoes, is organized into six categories or events, such as "date night." Full-length mirrors have replaced the smaller vanity ones, and each frame is individually lit on the display for easier viewing. Prices start at $89 for readers, $149 for sunglasses, $199 for single vision lenses and frame and $299 for progressives. The new store opens Saturday, May 19. Eyebobs will open its next location in Orlando's Florida Mall in August. Tentative plans are to have five stores open by the end of 2019 and nine by 2020. I-gogs, a Le Sueur, Minn. company, supplies its own brand of sunglasses sold in 3,000 retail outlets such as KwikTrip, Lunds & Byerlys, Fleet Farm and Coborn's. Until recently, the sunglasses and reader supplier didn't have a website because it didn't want to poach any business from its retail customers. I-gogs' CEO Dean Seaver, whose family started the business 36 years ago, decided to start offering sunglasses with a different price point for online customers. In retail stores, prices for i-gog's sunglasses range from $10 to $29. Online, prices range from $35 to $60 for a higher quality product. All of i-gog's sunglasses offer UVA and UVB protection in polarized and non-polarized versions.